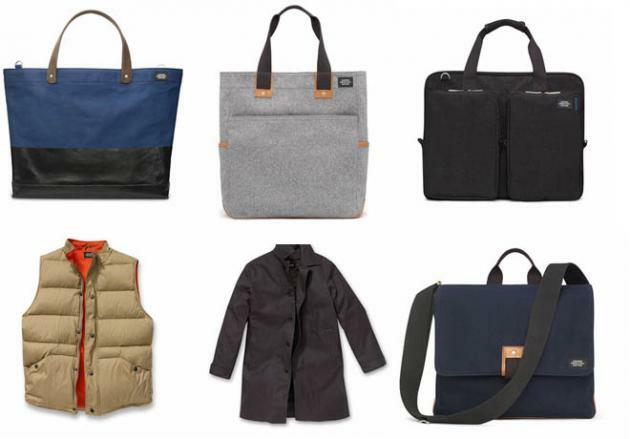 The official Jack Spade Fall 2009 lookbook is out with some new materials including waxed canvas, felt and leather. Above are some favourites (from upper left to right): The Dipped Coal bag, built to last it’s hand dipped in rubber latex with riveted seams; the felt and leather D.R. Tote; the soft nylon work Messenger, lightweight and perfect for laptops, the Meeks, down filled outwear vest in dark khaki; the Hallet trench in dark grey waxed cotton; and the Topo Messenger in felt and leather – the ultimate day bag.